BAR HARBOR, MAINE – Rafael Grossmann, M.D., a general and trauma surgeon at the Eastern Maine Medical Center in Bangor, will talk about the power of new technology to improve connections between medical providers and patients, especially in a rural state like Maine, at the Science Café to be held at 5:30 p.m. on Wednesday, March 5 at McKays Public House in Bar Harbor. 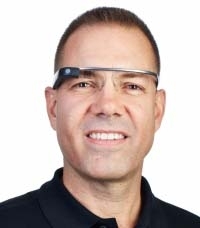 Dr. Grossmann was the first doctor to use Google Glass during live surgery and in medical education. He is convinced that innovations in healthcare technology will exponentially improve healthcare connectivity, communication and data management, and result in better and more efficient patient care. Originally from Caracas, Venezuela, Dr. Grossmann has given talks at TEDxDirigo titled “An iPod Could Save a Life” and “OK Glass: Disrupt Healthcare.” He also participated in the MedicineX conference in Stanford, California and was a featured keynote speaker at the “Games For Health” conference in Amsterdam in 2013. The MDI Science Cafés are offered by the MDI Biological Laboratory to give the public an opportunity to engage with scientists and learn more about the science that affects our lives. Cafés last about one hour. Scientists speak in plain English and expect plenty of questions, discussion, and debate. Refreshments are available. For more information, visit mdibl.org or call 207-288-3147. The MDI Science Cafés are sponsored in part by Bar Harbor Bank and Trust.